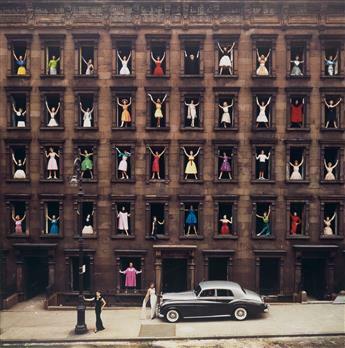 ORMOND GIGLI (1925- ) Girls in the Windows, New York City. 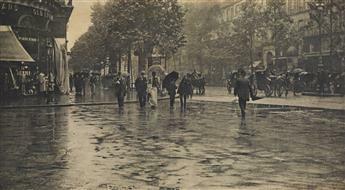 ALFRED STIEGLITZ (1864-1946) Wet Day on the Boulevard, Paris. 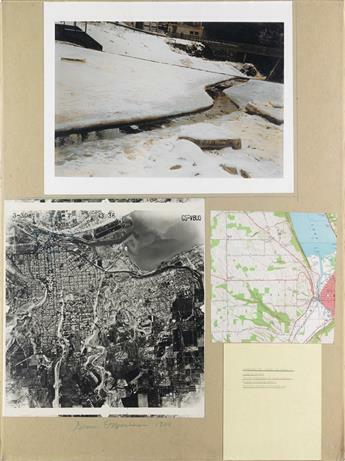 DENNIS OPPENHEIM (1938-2011) Accumulation Cut. ANDRÉ KERTÉSZ (1894-1985) Portfolio entitled André Kertész: Photographs, Volume I, 1913-1929. 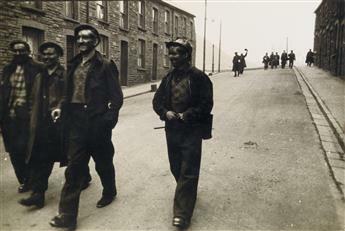 ROBERT FRANK (1924- ) Welsh miners. 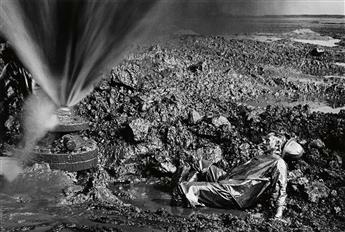 SEBASTIÃO SALGADO (1944- ) Kuwait Series, Greater Burhan Oil Field (fallen worker). 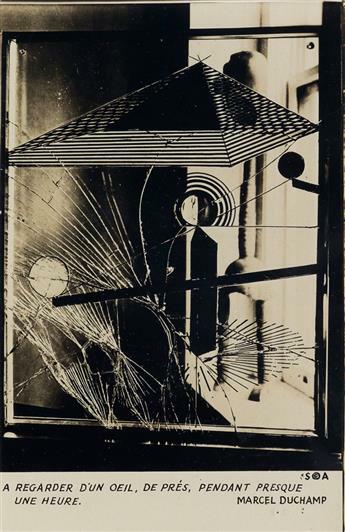 MAN RAY (1890-1976) Marcel Duchamps A Regarder dUn Oeil, De Prés Pendant Presque Une Heure. 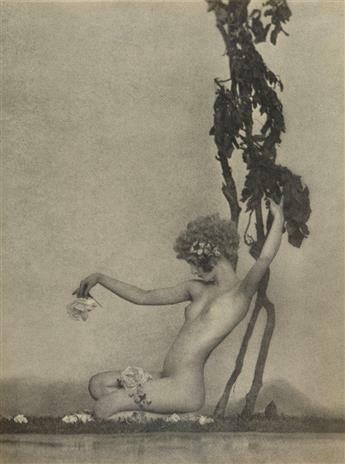 WILLIAM MORTENSEN. 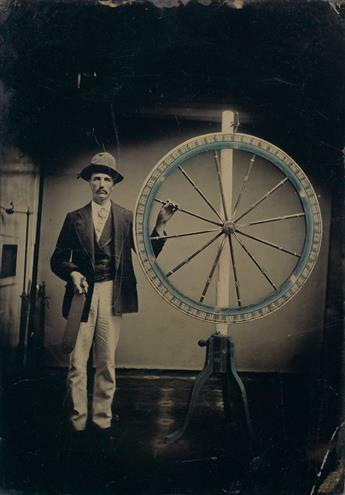 Selected Quatrains from The Rubaiyat of Omar Khayyam with Camera Projections.